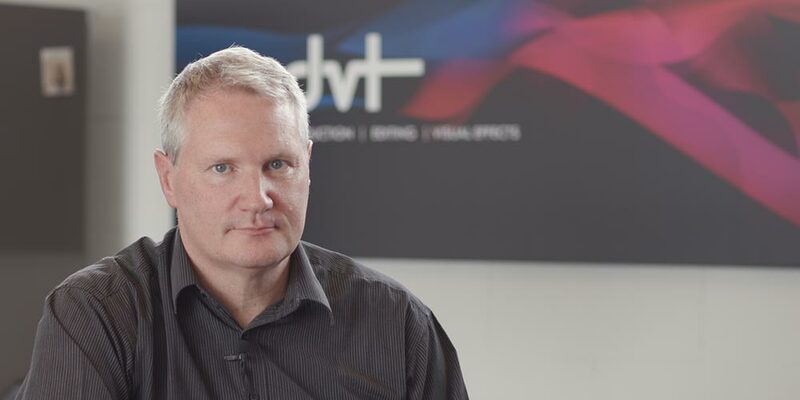 Crewed’s Kelly Lucas sat down with DVT’s Stuart Barnaby to look at what 2016 has delivered. Two things stood out for Barnaby – the arrival of HDR and IP video. But it’s not another fourfold leap in data, so HDR doesn’t require a lot of investment in more storage, faster storage, faster processors. What’s also good about it is that it isn’t a complete startover on gear. The major camera guys, ARRI, Canon, Sony, their software upgrades for several models have covered HDR. It’s the same with the software you’ll use in post. The major systems – Adobe Premiere, Autodesk Flame, Da Vinci Resolve – all support HDR today. The final part of the puzzle – now we can shoot 4K HDR and edit it and deliver it – is how do to get people to see it? That’s not really the industry’s problem, that’s a challenge for consumer-facing hardware suppliers – and they’re all over it. If you’ve bought a high-end TV from a major manufacturer in the last six months, it’s probably HDR-ready. YouTube has introduced HDR support for its uploaders. The major online platforms, like Netflix, are also there. People can watch HDR content. One day the free-to-air broadcasters will catch up. IP video, delivering video across a wifi network, is another game-changer this year that’s having a major impact on production capability and cost. Until now, Barnaby says, you’ve had a camera and that camera has connected with a device, usually via a cable. If you’ve needed the feed from the camera to go to two devices that’s required more hardware, routers or splitters. If you’ve wanted two cameras to feed to one screen, same deal. Unless your job is selling that hardware, it’s a big win. “We did some work in the Cook Islands recently, providing a broadcast solution for their national auditorium. The brief was the capacity to record, vision-mix from multiple camera feeds and to broadcast and live-stream. DVT created a studio, plus some fixed and remote control pan-tilt-zoom cameras. There was also a requirement for some higher-end gear, which they’re using documentary style to capture people’s stories and create an archive of AV material. “It’s really important for communities to be able to do that,” Barnaby believes. The reduction in hardware delivers a lot of flexibility – laptop-based solutions that allow for recording and playback across a range of formats over a network. On top of that there are software solutions for vision-splitting, mixing, streaming to services like Skype, converting formats, resolutions, frame ratios. More video content is now being watched online via VOD services than via traditional broadcast. Free-to-air channels might have the largest single numbers of viewers but internationally the majority of people are viewing on their own timetables not the broadcasters’. NZ is lagging a bit behind that change, partly because of its limited high-speed internet infrastructure, although NZ On Air-commissioned research published earlier this year showed that TV is no longer the platform of choice for younger viewers. “Our clients cover the range of the industry – AV companies, events companies, broadcasters, TV and film production companies,” says Barnaby. “They’ve all got the same goal – capturing and disseminating audio-visual material – and we understand how their work and needs differ. “We’ve been around for a while, but we’re still constantly fascinated by what our customers do and want to do. It’s a constant joy to see what they’re coming up with.